Peer-to-Peer AirPlay is a new feature that allows users to stream content to an Apple TV without having to be connected to the same wireless network. Guests can AirPlay from their Mac or iOS device directly to your Apple TV (model A1469 or later) without connecting to your wireless network. On the client side, you have to use either iOS8 (iPhone, iPad, iPod) or Mac OS X 10.10 (Yosemite). Your Apple TV has to be a 3rd generation device. 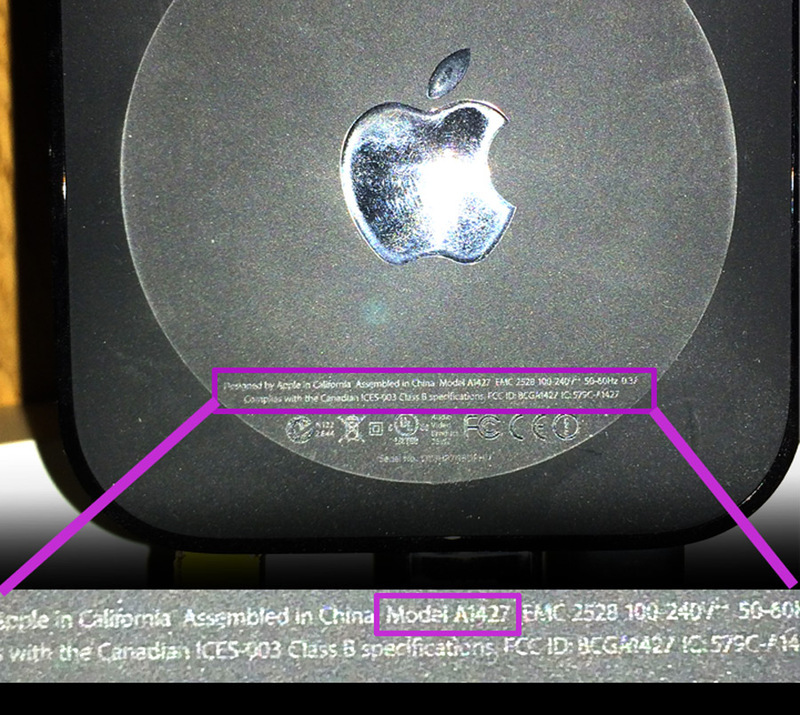 Furthermore: It has to be from the second revision which has the model number A1469 and was released in March 2013 (you can check this on the bottom of your device). The 1st generation (A1427) doesn’t work! It’s not obvious because the second revision was a silent upgrade from Apple, so from a customer perspective there were no changes. Last thing for P2P-Airplay is, that you have to update your Apple TV to software 7.0 or later. What no one mentions anywhere is that although you can peer to peer AirPlay without wifi with this model you are restricted in the content you can mirror. You can not mirror YouTube, you can not mirror Netflix, you can not mirror Amazon Instant Video. You can not mirror ANY streaming video that I’ve found EXCEPT Hulu. You can mirror anything in your phone’s memory but you cannot stream any video content except with Hulu. So if you don’t have unlimited hotspot but you do have unlimited data and you want to use your data to mirror Netflix etc to your Apple TV you are not able to accomplish that. If anyone knows a solution by all means please correct me. You are correct. Those things cannot be streamed directly without a router. But a simple solution is to get a really cheap portable router such as a tplink or a tripmate. They can b easily found on Amazon. They have several variation. You can get one with an internal battery that can be a charger for your phone on the go. I personally have tried the simple usb powered 2×2 inch little routers from both companies. You simply connect to it with your device but set the IP address to static. This allows your device like an iPhone or iPad to stay using LTE or 4G and connect to the router at same time. Simply connect the Apple TV to the network created by the router and voila. You can now stream YouTube or Netflix on the go. Now for those of you who try this without making the connection static it will not connect to server because their is no internet. You are simply using a portable network for the purpose of streaming to the Apple TV. And an added bonus is yiur are not limited to the version of Apple TV. As this will work for any Apple TV with wifi that has AirPlay functionality. Another added bonus is that you can bring extra content with you. For example. The tripmate has a USB port which I use to attach a thumb drive with movies, music, pictures. Whatever I wish. I bring it in the car on long trips. Or on an airplane ride with a battery brick (for powering the router). My kids and wife connect to the network and use any app that can stream from a network drive. And instant nas on the go. Sorry for the long reply. But wanted to be detailed and provide examples. I have played around with this for a long time. And have had AirPlay on the go way before apple made it as simple as they have. I also converted my apple TV to usb power and can take one on the go as well whenever I wish. I connect it to the rear entertainment system in my truck and the kids have loads of fun. Another added bonus of this setup is the kids no longer figt over what movie to watch since they can all access the thin drive simultaneously and stream whatever they want independently. I have personally had up to 5 devices streaming hd movies with no pausing or pixelation. Very smooth. The tripmate has an Ethernet port for the purpose of connecting to Internet. It cannot I repeat cannot share the connection via Ethernet. The tplink on the other hand can. So you can for instance make something without wireless connection into a wireless connectable device in a way. I have found that the tplink works better for portable AirPlay since you can hardware the network connection to the Apple TV. But both work well. Both have their own respective apps. That work well. Hope this has been helpful. If you have any questions don’t heaitate to ask. I recently took your advice and bought the tripmate for my 2016 Yukon. Along with an hdmi/composite converter I am able to get the Apple TV onto the vehicles screens. The only part I am confused about and cannot figure out is the networ settings on my iPhone 6. I created a network with the tripmate and was able to connect the Apple TV and my phone to it. I seem to be doing the static setting on my iPhone wrong be said I am unable to get any 4g data while air playing. Perhaps you can give details on how to set the network info? Thanks in advance! This can be use in home too? Which model do you recommend for in home use just for Netflix? Lol. Sorry also forgot to mention. The other added bonus to this. Is the relief your data plan will receive when your kids are streaming from the network drive instead of Netflix or YouTube. And I know that there are wireless hard drives these days. But I did all this way before these were available. And they are also pretty pricey. These little router can be found as cheap as $15-$20. And the thumb drive is your preference of size and brand that will determine cost. so for less that $40 you can have a wireless little nas setup in the car. Add a portable phone charger and you can power it up throw it in a back pack or workday and take it with you walking, on the bus or like I do on my daily commute to and from work. Also works great on vacation with a single TV in the hotel room. Kids can use their devices leaving the TV free for mom and dad. I know first world problems. What happened to the days where we settled. Well those days are gone. And if you can provide a little more comfort for yourself on long rides I say why not. Moderator please place my last comment as a second reply to Rays question. Or place my reply to Rays question as my first comment on this thread sorry I meant to have my replies one after the other. I have a question. I have iPhone and iPad through tmobile. Can I use the hotspot from my phone to connect Apple TV. Then use Netflix on my iPad and peer to peer AirPlay. TMobiles binge on does not use data for Netflix. But does having the Apple TV connected to phone hotspot use data while doing this? Does that make sense?